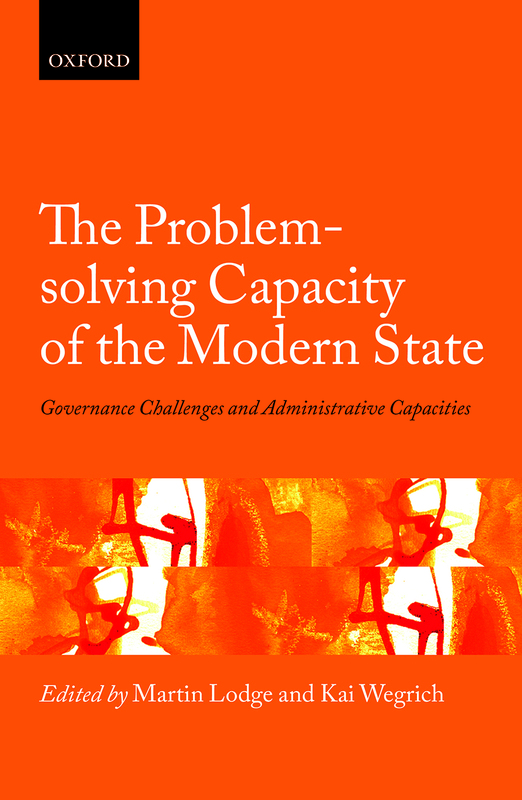 A chapter of mine on ‘Capacity and Constraint: Governance Through International and Transnational Law’ has just appeared in a volume, edited by Martin Lodge and Kai Wegrich, on The Problem-solving Capacity of the Modern State: Governance Challenges and Administrative Capacities (OUP, 2014, here). This is an interesting volume, the companion volume to the Governance Report 2014 of the Hertie School of Governance (which can be found here). Transboundary problems have provided serious challenges for states’ governance capacity for long. As a result, the modern state has not only begun to adapt its own administrative and regulatory structures; it has also come to rely increasingly on effective institutional structures for cooperation and governance on a regional and global scale. The classical instrument for international cooperation, international law, can only provide such structures under certain conditions and within strict limits. Governments have therefore turned to alternative forms of transnational ordering, which in some cases have indeed led to more effective decision-making – key among them formal international institutions, informal government networks, extraterritorial regulation, and links with private forms of regulation. However, all of these tools come with drawbacks – some are more effective than others, and the more they are effective, the more they tend to entail a loss of control for national governments, regulators and administrators. Domestic authorities have sought to readjust and develop new forms of influence in transnational regulatory contexts, some of them resulting in asymmetrical structures that increase the capacity of some countries’ institutions while constraining those of others. In this paper, I analyze the different forms of transnational law- and rule-making with respect to their varying impacts on, and links with, domestic governance institutions, and I place a particular focus on the most prominent example – the rise of informal institutions and transgovernmental networks in global regulation. This entry was posted in Uncategorized on November 3, 2014 by nkrisch.